Dear Job Aspirants, Welcome to www.allindiajobs.in. We have decided to post all the jobs, walkins, vacancies, job fairs and off campus drives in Hyderabad location. This page is one stop destination for all types of freshers jobs, Walk-ins for freshers and off campus drives for freshers which are happening in Hyderabad and Secunderabad area. View and apply to best jobs in top companies. Here we are going to provide IT Jobs, BPO Jobs, MBA Jobs, Pharma Jobs, Customer Care Jobs, Networking Jobs, Administrator Jobs, Voice / Non-Voice Process etc. in and around Hyderabad city. Hope this page is useful to all the Hyderabad job seekers. 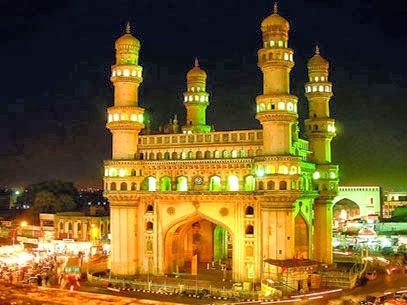 Bookmark this page and check daily to view the latest jobs in Hyderabad. CGI Off Campus Drive 2016-2017 in Hyderabad, Bangalore On 5th March 2016.B.Com and MBA Jobs in CGI.CGI Off Campus For 2012 and 2013 Batch Freshers. The Last date for apply online is 2nd March 2014 and Walkin Date is 5th March 2014.This drive is through eLitmus, so good PH Score is Required to attend. Testing Jobs in Hyderabad 2014 | ZenQ Walkin Drive For Freshers On 2nd March 2014. ZenQ Walk in Drive For 2012 and 2013 Batch Freshers. BE, B.Tech Jobs for Freshers in ZenQ. Job Location is Hyderabad. Eligible candidates are directly walk in to below mention address. Testing Engineer Jobs in Hyderabad 2014 – MWebWare Software Walkin Drive On 28th February 2014. 2012 and 2013 passout Freshers walkin in Hyderabadn. BE, B.Tech and MCA jobs For Freshers in Hyderabad.Interested candidates can walk-in with your updated resume on Friday 28th February 2014. 200 Openings in Hyderabad | People Tech Group Walkin Drive For Freshers and Exp On 22nd and 23rd February 2014. Freshers and Exp Walkins in Hyderabad and Bangalore. Who Will Have a knowledge in Photoshop and HTML, CSS, Java Script Freshers also come for the Walkin. ValueLabs Walkin Drive For 2013 and 2014 B.Sc Freshers On 22nd February 2014. Freshers Walkin Drive in Hyderabad. ValueLabs Looking for BSc Computers freshers from 2013/2014 batches. Fresher Walkins For Trainee Software Engineer in Hyderabad. Global Logic(Google) Off Campus Drive for Freshers 2010, 2011, 2012, 2013 Passed outs On 22nd February 2014.BE, B.Tech, B.Sc, M.Sc, MCA, BCA, BA, B.Com Fresher Jobs at Global Logic. Freshers Off Camus Drive in Hyderabad. Amazon Recruitment 2014 | Amazon Walkin Drive For Fresher and Exp in Hyderabad – February 2014. See the below details for Qualification, Experience, job location, job role and other details. ADP Walkins For Freshers in Hyderabad On 12th February 2014. B.Com, B.Sc, BA, MA, BHM, M.Com Graduates (2013 Batch Freshers) are eligible. NCR Jobs 2014 | NCR Recruitment 2014 | NCR Hiring For Freshers in Hyderabad – February 2014 . NCR Hiring For the BE, B.Tech Fresher as Software Developer. Please do mention walking dates…. Very good positions in this companies. Do you also offer any jobs for the recently retired from Banking Industry?